If you are a homeowner, you’re well aware of the risk of flood and damages that it makes. So many basements get ruined during a series of unfortunate events caused by a massive storm. When you add power outage, the devastation is inevitable in the middle of the storm. A primary backup sump pump is not enough protection because it runs off the primary power source, so you have to make sure to protect your home in a much more efficient way. 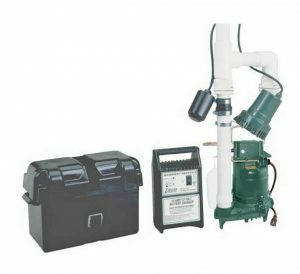 Battery backup sump pumps are meant to support primary pumps, because the primary pumps can fail due the power outage, overheating or unrestricted use. This product is a pump system with a backup battery system which is used to drain water away from wet humid ponds in your basement. It comes pre-assembled, so there is no need for you to spend time setting it up or calibrating it. After the rain comes the flood and nothing is more frustrating than seeing your basement filled with water and all of your belongings soaking wet. 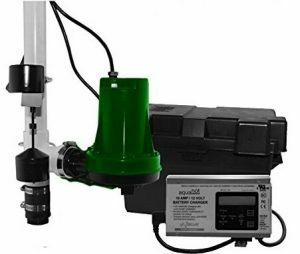 With this sump pump system, your problem will persist no more! It has a high-performance index, reaching as much as 3300 GPH (gallon per hour), making it one of the most powerful DC pump in the market. Fitted with an alarm system and status indicator lights, this pump will let you know when the backup system is on, saving you the trouble of having to constantly check up on it. 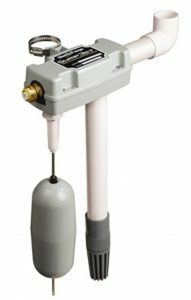 This product is a residential-use sump pump system which utilizes thermoplastic construction. It also has a one-of-a-kind float switch design which limits travel area, making it suitable for smaller sumps. The system is fitted with the new and superior Smart Charging technology, optimizing the battery without sacrificing performance in return. There will also be an alarm system and a LED indicator to let users know when the backup system is on. 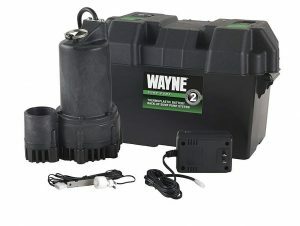 The sump pump battery backup is made of corrosive-resistant materials, with thermoplastic construction, ensuring that the pump will be sturdy and lightweight. It is recommended to use the pump in finished basements or basements with objects of high values because of its lightweight and its easy installation. 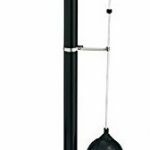 This is a water-powered sump jump from Liberty Pumps which efficiently removes water from your basement in case of power outage, boasting a performance of 2 gallons of water removed per 1 gallon of water used. If a battery-powered backup system is not your thing, then this one might do the trick. It uses water from your local water supply to power its pump, so it will be usable irrespective of whether the power is on or off. The system also comes with a removable foot valve. However, do be warned that it needs additional backflow protection in order to work properly. The material used in the product is PVC. The sump pump is fully automatic and requires an uninterrupted source of water in order to work efficiently. The preferred water inlet should range from 20 to 100 psi in pressure. This is a battery-powered backup pump from Zoeller, one of the most reliable pump brands in the market. It is used to pump water out of your basements in case of power outage, or in case your primary pump fails, adding extra protection to your objects of high values. This model also comes with a battery burn-out and overcharges protection mechanism. The pump system comes with a 10-ampere battery recharger, making sure that you can easily charge the product anywhere and anytime you want. The battery case is fashioned from a non-corrosive material, which keeps it from the tears and wears of the weather. To add a finishing touch, the system is fitted with other conveniences such as an alarm system and light indicators. However, do be noted that this system does not include a sump pump or a battery. These components are sold separately. If there is a power outage in your area, or if your primary pump fails due to technical issues, then this system is here for the rescue! Using battery backup system, this pump can keep your basement dry for a period of time until the power is back or until the primary pump can function again. Like most Zoeller pumps, it is fitted with an innate battery overcharge and burn-out protection failsafe. Using the latest pumping technology, coupled with Zoeller’s timeless components, this system can pump out a large amount of water using minimal energy. Its performance can reach as high as 40 GPM. It also comes with an integrated check valve and aluminum seal pocket and a cooling plate. The system’s design is streamlined so as to give you the best user experience. The display will always show you the voltage level, as well as other crucial information relating to the system. There will also be an alarm system integrated along the pump to show when it is online. When you are a homeowner, one of your worst fears is probably power outages during a big storm, rapid snow melting or any other kind of weather disturbances. You can’t do anything until the thunderstorm settles down. So it will be the best option for you to have a device that will help you pump most of the water out without using general power. Battery backup sump pump is ideal for this kind of unwanted situation. It’s better than buying a second sump pump because it’s way cheaper. It ensures your basement and belongings will be kept safe even when the power goes out, which is not a rare consequence of a great storm. Battery backup sump pump is much more affordable and risk-free solution. It’s a straightforward installation. You just hook up battery pump to your primary pump. There’s no annoying noise or unhealthy dust. You also don’t need to smash your precious walls. It only takes about an hour or so, and it’s easily a one-man job. In this way, it interrupts your household less and avoids a whole bunch of handymen goes around your house. If you properly install battery backup sump pump, it will charge automatically, so you don’t have to worry about it. It also turns on and off by itself, so you don’t have to run to your basement back and forward all the time to check it out. It also takes over when the primary clogs or if there’s any other mechanical issue. There are two most used types of batteries there on the market, Deep Cycle Marine Batteries and AGM Batteries. Deep Cycle Marine is also called wet cell batteries or marine or solar batteries, as well as lead-acid batteries. You can usually find them in old cars. You have to add distilled water in them to save them drying out and preventing the damage. AGM batteries are maintenance free because they are completely sealed so you can set them up and forget all about them. There is no adding water whatsoever. Also, new generations of AGM batteries have a double run time regarding their size, and they can be used for about five to seven years without replacement. Pump construction is straightforward to choose because there are just two options, plastic or iron. Iron is an obvious choice in that case because it is more durable and much safer than a plastic one. Plastic is usually cheaper, but you get the quality you pay for. If you all you have to do is to choose cast iron sump pump with AMG battery, the rest should be a piece of cake. But you also need to get the right sized pump. You have to watch for pumping capacity to make sure that it’s equal to your primary pump. It’s important because you don’t want to find yourself in a situation where there’s pouring rain outside and your backup pump can’t do all the work by itself if it has to. Battery sump pump has two common types of batteries, which are AC/DC and regular DC. Systems for backing up batteries are going to switch to DC regulations when the AC power is not available or if the power fails for any matter. But if the DC power is still working, some of the pumps can use AC regular power directly without emptying the battery. Batteries which use only DC power are going to just utilize battery power, so they are less expensive and affordable. But if you don’t want to be Thunderstruck, go with AC/DC. Pun intended. There is also some new technology that enables you to connect your pump to your smartphone so it can text or email you in a case of any kind of pump emergency. These are very expensive, but they are way more practical and better investment than basement reconstruction after damage caused by the flood. 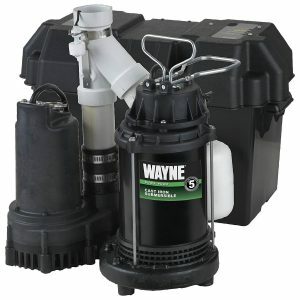 Another reason why is an excellent choice for you to have battery sump pump is this: if your primary pump can’t handle the amount of water getting into your basement, a battery unit with float switch will do that for you. The float switch is constructed to recognize when water is at a certain level so they can know when to turn on and clear it all out. Sump pump with battery backup system have precisely the same mechanism, and it will activate when it recognizes that the primary sump pump isn’t responding in a matter that it should. If it’s installed above primary sump pump, it’ll double that power of primary sump pump and make it easier to keep your basement dry and undamaged, just like it supposed to be. A battery powered backup can save you from having to spend thousands of dollars to rectify any damage done. It is an essential tool to protect your favorite room from any kind of damage. Big storms and floods are not rare, so you have to keep in mind what kind of destruction they make. 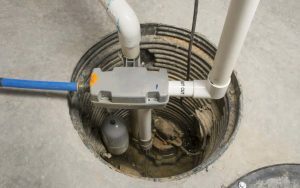 Eventually, the most significant benefit of good battery backup sump pump is the peace of your heart and mind knowing that you have so much layer of protection.